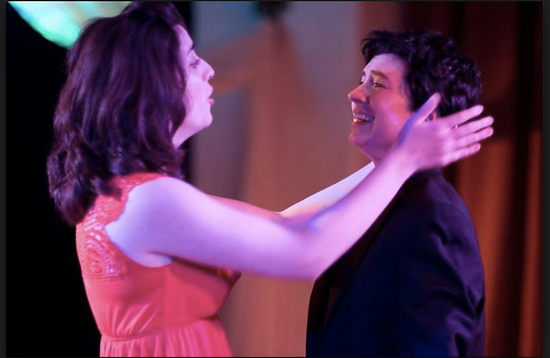 In Shakespeare’s Twelfth Night, the theme of Romantic Love vs. Infatuation is seen in many of the initial stages, through the different characters. Orsino, the great count, is seen portraying this theme, in a major role throughout the play. The opening lines of the play are an ideal example of this theme, as we see love trying to break through amongst the riddles of infatuation which Orsino is intertwined between. An important quotation from this opening poem dictated by Orsino is shown taking on the theme of infatuation. The first two lines of the play as above, show that Orsino is very deeply captured in loving the feeling of being in love, as he says, “give me excess of it.” The word, “it” in this phrase is showing love, as in “give me excess of love.” And that boldly points out that Orsino is yearning for affection, being infatuated, especially because his love for Olivia is single sided and remains as so for the rest of the play. Another reason showing that the love that Orsino feels is really infatuation with being in love is seen in the last part of the play. Wherein Orsino casually and easily consents to make Viola his lady, after Olivia rejects his proposal for marriage. It very obviously lines out that Orsino just wants to be loved, or be in love, with whom, to him that doesn’t matter. As against, romantic love which would be tragic, where Orsino (to actually be in romantic love) must love Olivia, and no one other than her to show that he is actually in real love. However Shakespeare decides to make him as a character who just loves to love, or else, Viola wouldn’t have been married to Orsino. This idea is supported by a quote given from the same poem that Orsino starts the play with, which is shown below. These two lines create an effect of foreshadowing to show that the spirit of love is “quick” and “fresh.”How Orsino feels from time to time that love itself comes naturally, and is very quick and fresh. And the start of line 14 directly points out about how love can change, or come, even in a minute with emotions that are strongly felt. So emphasizing that love, in his life is bouncy, and he is happy as long he is loving and that love is being reciprocated. This situation, seen in a different light, embodies irony. 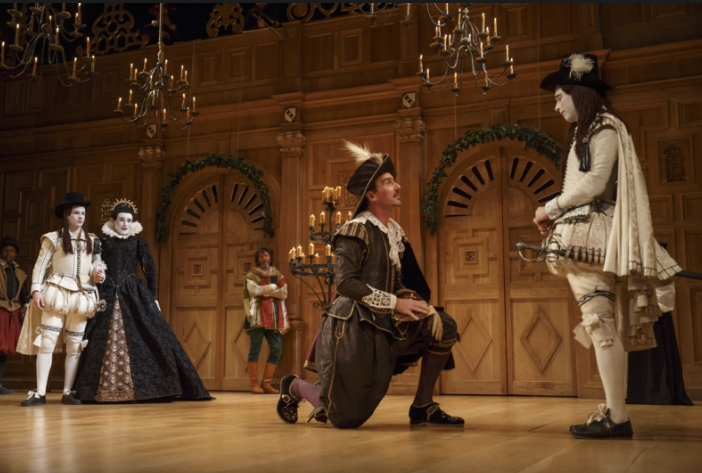 It is composed of the idea that it is ironic that Orsino loved Olivia so eminently, that he had hired and sent Cesario with a ring to marry Olivia, although just in an instant, he switched from wanting to marry Olivia to marrying Viola, just like that, without hesitation. This ironic sight of love that Shakespeare integrates in this play, although if hidden, gives insight to reality in the real world where many people just change from loving someone dearly for many, many years perhaps, to looking at someone else and starting to admire/love them instead, just because his/her love isn’t reciprocated or due to being rejected. For example, the way that Olivia rejects Orsino. Where looks are the trap and eyes are the gateway to one’s vulnerable heart.